I'm still working on getting my craft room organized so you'll be my posts will be a little crafty-heavy for the next little while. 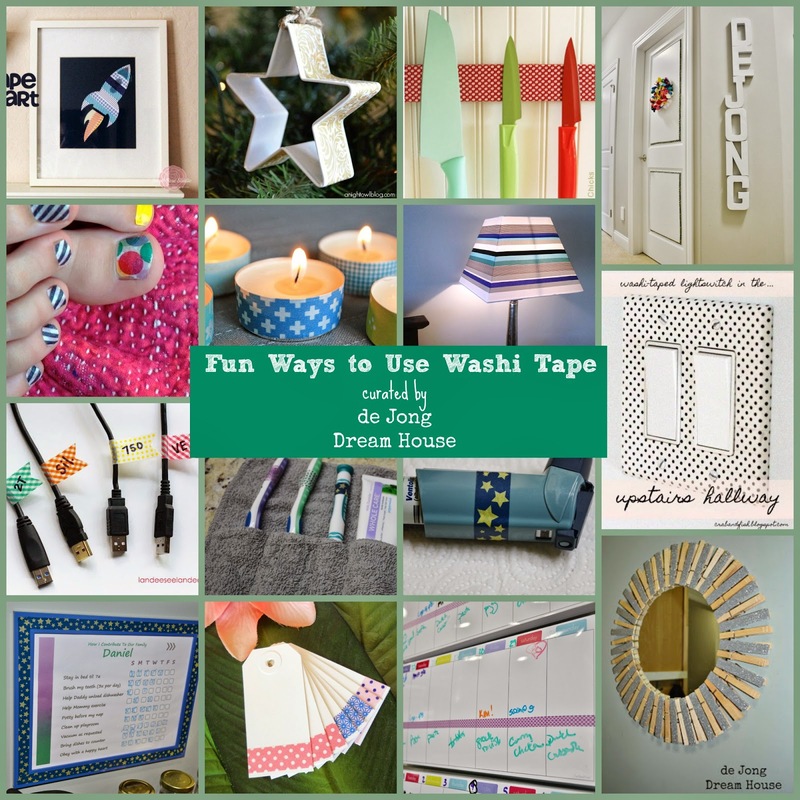 To follow up my washi tape storage solution, I've rounded up a few of the ways I've used washi tape around the house, as well as some super fun ideas from around the web. We do a lot of color-coding around here. Washi tape is a fun way to identify items you don't want mixed up. 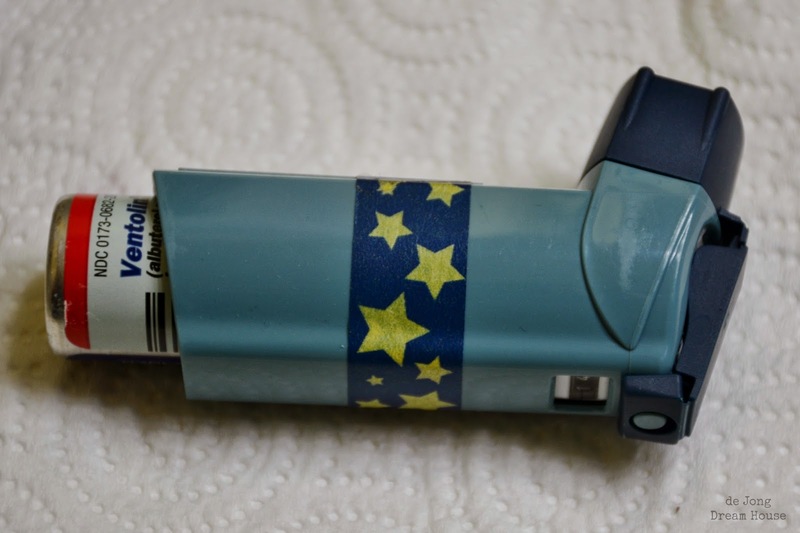 For example, both our son and I have inhalers. 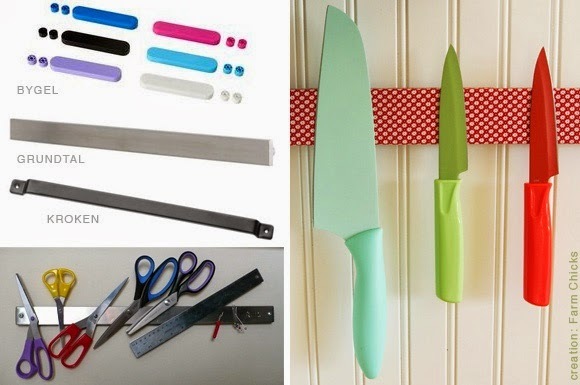 A quick strip of washi tape means we don't have to worry about grabbing the wrong one. Along the same lines, we use washi tape to color code our toiletries when we travel. 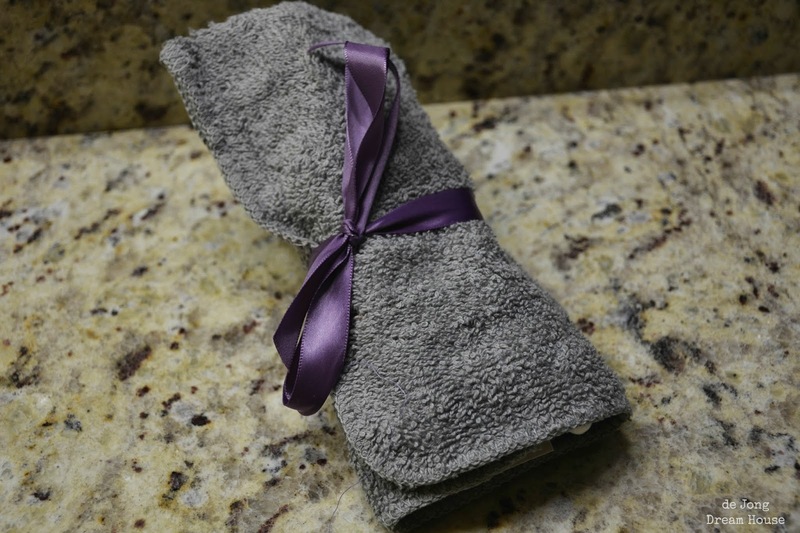 I made this toiletry wrap several months ago for our toothbrushes. 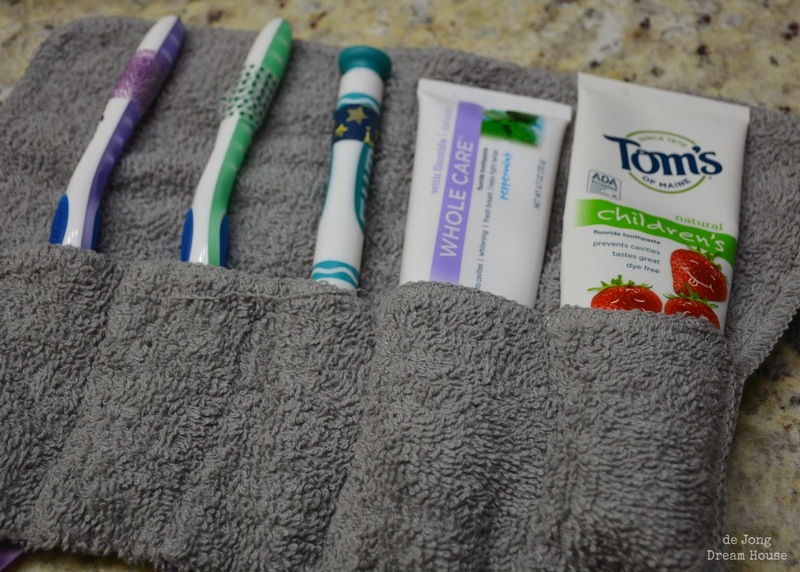 We use the free toothbrushes from our dentist when we travel. At the moment, they are all different colors, but sometimes they are the same, so washi tape makes it easy to keep our toothbrushes apart. A few months ago I moved our family calendar to our kitchen wall. 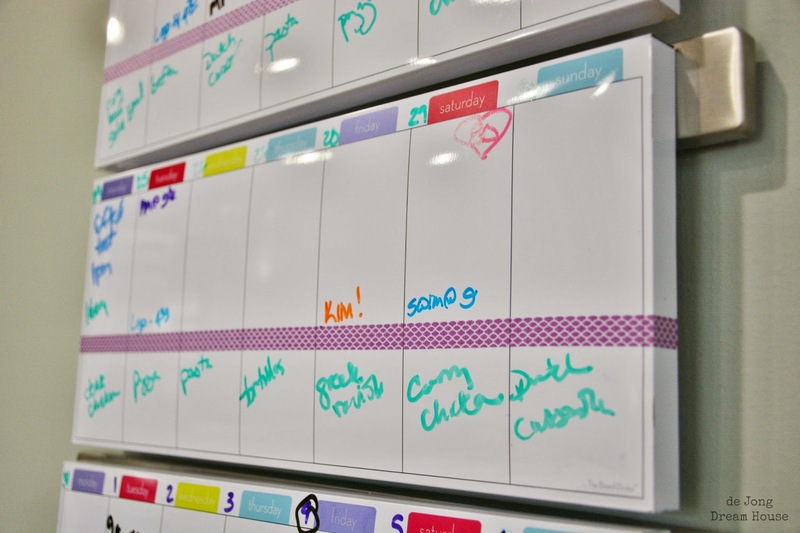 Living with a brain injury means I don't have a busy social schedule. I soon realized that there was plenty of room for me to add my menu calendar to the week calendar...all with a little help from washi tape. Another popular labeling use for washi tape is to color code each family member's chargers, like this example from Delicious Spaces. 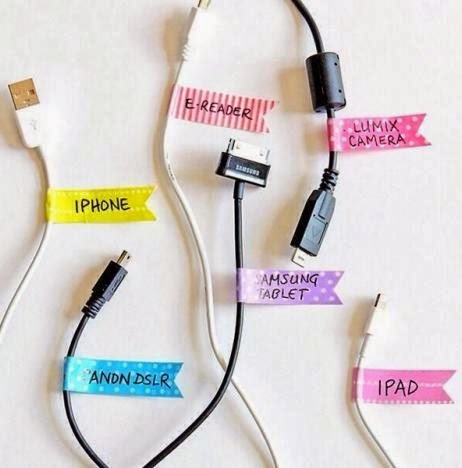 Washi tape is also pretty great for labeling cords, like this example from Neat Method. If I didn't have such awesome in-home tech support (aka The Hubby), I would be labeling all of the cords to our TVs, DVRs, Wii, and our techie gadgets. As it is I just stay away, far away! 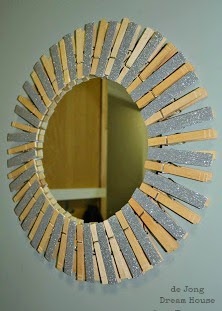 One of my first home decor projects after we moved in the dream house was to make a glitter mirror. It's not quite washi tape because it was a lot harder to find two years ago. 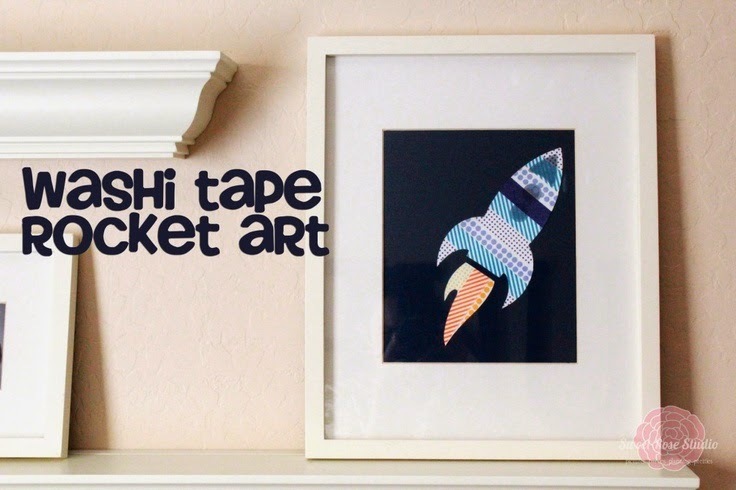 Washi tape is an easy way to spruce up a picture frame...or a contribution chart. It's a little hard to see, but our son came up with the idea of using "his" washi tape to decorate his bedroom door. 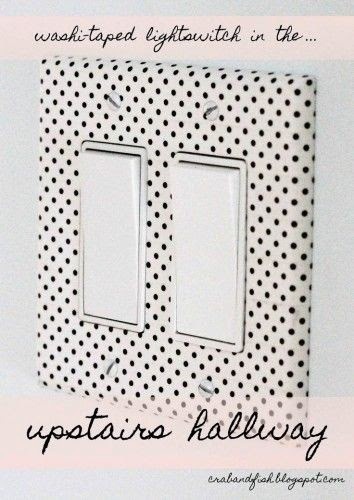 I love this idea to from Crab & Fish to cover light switches with washi tape. 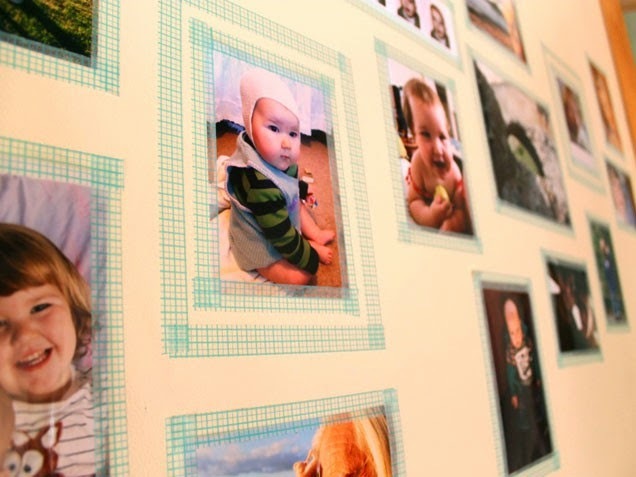 Using washi tape to create frames is a no-commitment way to add some color to your galleries. I like this example from iVillage. 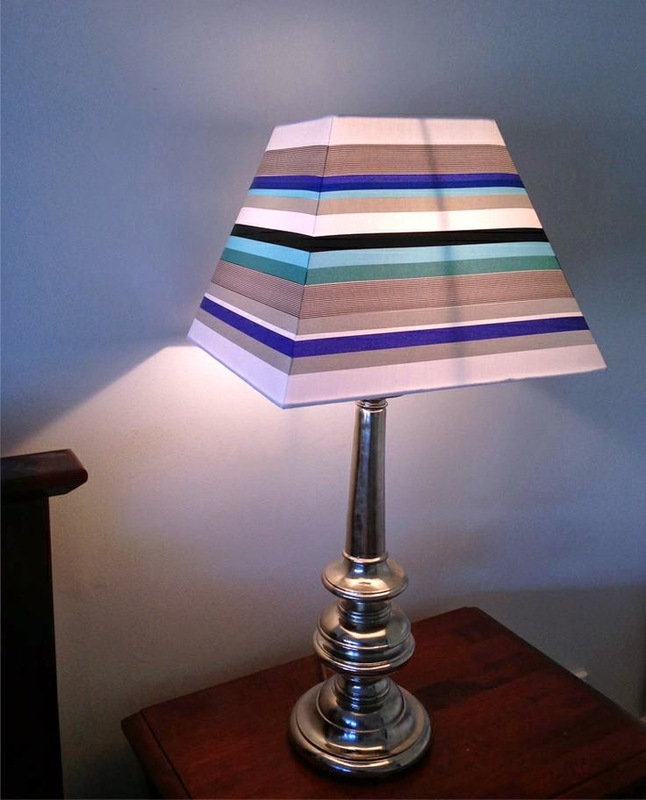 He also loved this idea from RS Designs. 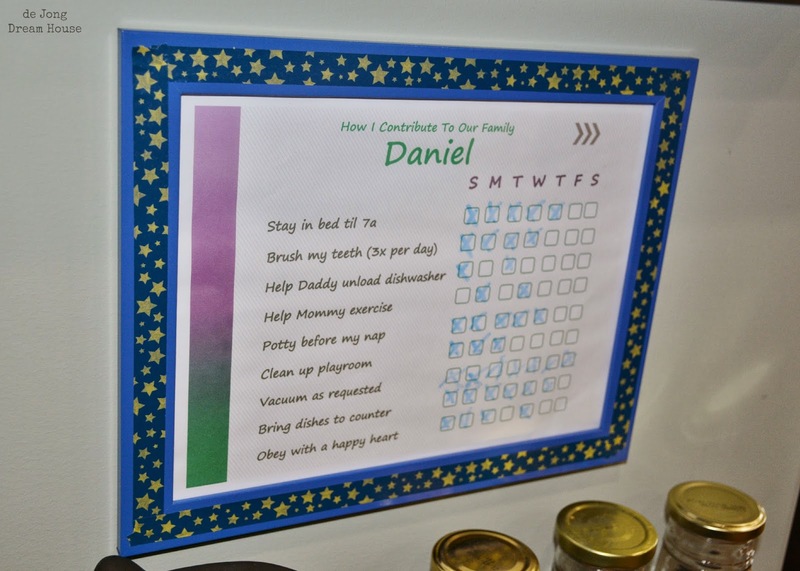 Both ideas are low-cost ways to customize what you already have, a great solution for kids who change interests often! Speaking of kids, here's a way to for little ones to decorate their toes without making a mess with polish. I think it might be fun for big kids, too! Thanks to Lebenslustiger for the idea! 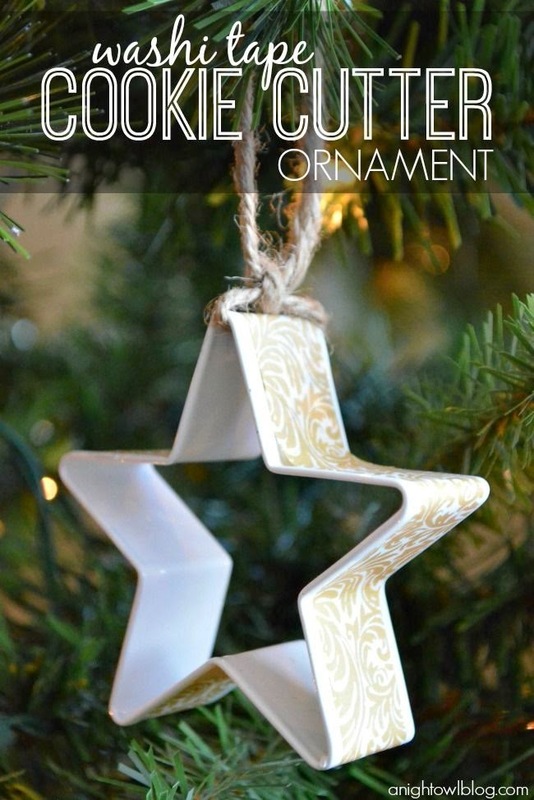 I've seen cookie cutters as tree ornaments before, but I thing A Night Owl's idea to use washi tape is brilliant. I think I will be busting out my glittery washi tape next Christmas. I used knife racks all around my house. I like how Kim Vallee covered hers with washi tape. I use these exact gift tags on totes all around our house. 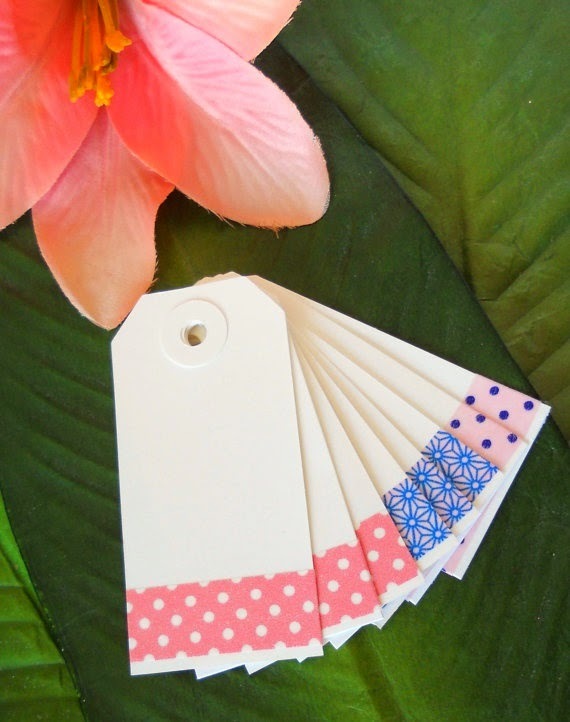 I think these washi-wrapped labels from Etsy seller Melissa Marie Russell are so creative. Lastly, I know a lot of people have noticed that tea lights are just the right size to be dressed up with a little washi tape. 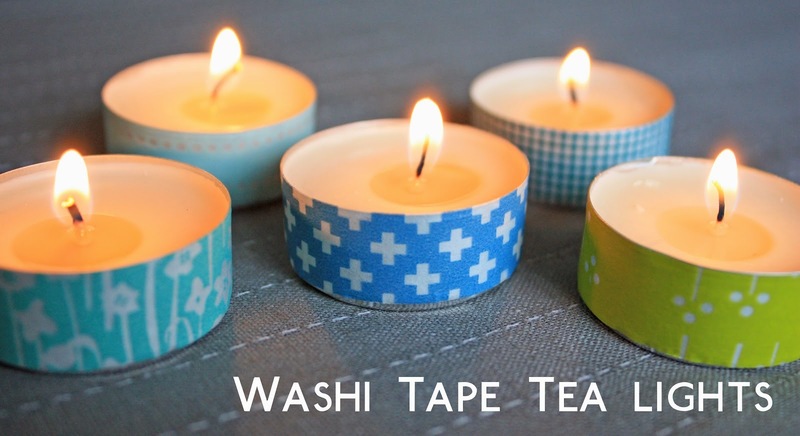 What Happened Next posted a pretty selection of washi-adorned tea lights. You can find more washi tape ideas on my washi tape Pinterest board. Follow Jen | de Jong Dream House's board crafts :: washi tape on Pinterest.